There was good news this week for residents of Ballycroy with the announcement by An Post that it is to readvertise the contract to provide Post Office services in Ballycroy. Last Saturday a protest took place in Castlebar to protest the closure of 11 post offices around the county. Post offices in Ballindine, Ballyglass, Belcarra, Carrowmore-Lacken, Cross, Doocastle, Finney, Hollymount, Kilmaine, Partry and Scardaun have all been slated for closure. The protest was attended by Senators Michelle Mulherin, Rose Conway-Walsh and MEPs Luke 'Ming' Flanagan, Marian Harkin an Matt Carty as well as a number of councillors. Fears that the post office in Ballycroy would be added to the list had seen a number of public meetings held in the village in recent weeks. Welcoming the news that the service would be readvertised Minister Michael Ring stated: "The current Post-mistress will remain in situ until such time as the vacant contract has been filled, which is wonderful as there will be no break in service. Senator Michelle Mulherin also welcomed the news but hit out at An Post's handling of the issue stating: "I challenged David McRedmond, CEO of An Post, at the Oireachtas Communications Committee meeting between himself and Minister Denis Naughten in relation to An Post's approach in rationalising and restructuring the post office network. 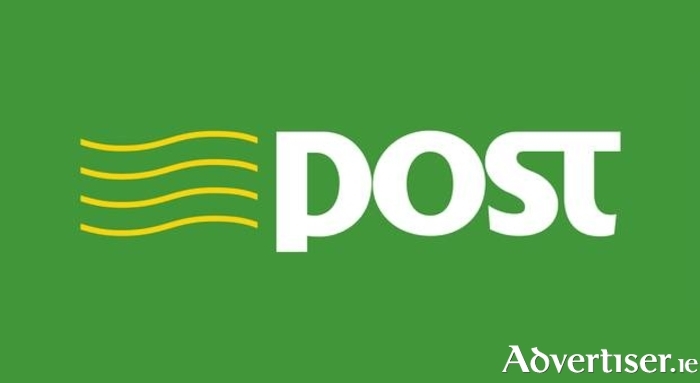 "An Post has received a loan of euro30m from Government yet to date we are not hearing good news stories about them investing in the expansion of services in Mayo or elsewhere, but only about them shutting down post offices in Rural Ireland. "There is no issue with post masters or mistresses who are retiring. They have provided long and good service to their communities. Rather it is about An Post engaging with communities and particularly individuals who are prepared to pick up the baton and deliver the postal service in their community. An Post is not doing this. "They have developed a Protocol giving a commitment to have a post office to service populations of 500 or more and that communities should be no further away from a post office than 15 km. They seem to be using this as a carte blanche to close down post offices at very short notice without any consultation with the public. In the case of Ballindine PO they offer a review of the decision only after the post office has actually closed. "If An Post had consulted with the public in Ballycroy it would have realised it was falling foul of their own Protocol in proposing it's closure. Now they have had to back track and keep it open. Three businesses in Ballindine have expressed interest in delivering the post office service and An Post has not engaged with them at all to see if something can be worked out. It is clear that some post offices have a stronger case than others for retention. "The growing community in Belcarra want a chance to retain their post office. They should be given this especially in light of the impending closure of nearby Ballyglass Post Office also. To be fair An Post should engage meaningfully with the individuals and businesses in communities who are prepared to take on the delivery of the service to try to work out a viable business alternative. "This is something I am fighting An Post for in Mayo where expressions of interest have been made by interested parties to An Post. Part of this should be investment by An Post in new services which it is heralding as part of the new viable post office network. If not people in rural areas have a right to be cynical about all the pronouncements." Fianna Fail TD Lisa Chambers also hit out at An Post, saying: "The importance of post offices to both the local economy and to the social wellbeing of communities cannot be overstated. Post offices are the nucleus of our small villages and towns. Viewing post offices as simple financial units ignores the important work of post office staff in dealing with the isolation of rural citizens, especially older and vulnerable citizens. Those working in these post offices are sadly all too often the only personal contact an older person has from one week to the next. "Closing these post offices will jeopardise the viability of these small, isolated communities and we owe it to those living in them to not shut down their last remaining State service."